The Reinhart family is not too well liked in their little town of Kensington. It is believed, the patriarch, Henry Reinhart, is willing to stop at nothing, including murder to hang on to the family farm. He and his wife Bertha stepped in to raise their grandson Kurt after he is abandoned by his parents when he was four years old. Kurt shares his grandfather's love for the farm, but as he grows up, he seeks answers to the claims of the town folk. Henry seems to be very upfront with his grandson about answering his questions, but he is also on a quest to gain control of some farms that adjoin his land, and resorts to some questionable tactics to acquire these parcels. Towards the end of high school, Kurt falls in love, which at the end of the fifties and the early sixties, this kind of love is still forbidden. Kurt has much to work through and overcome. Will he prevail in the end? 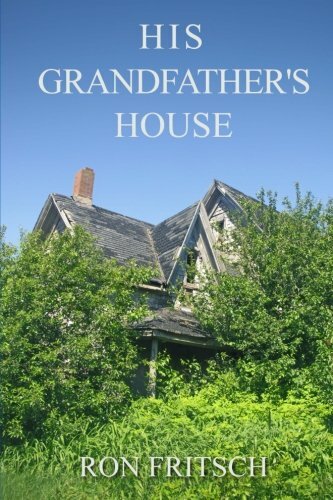 “His Grandfather's House” is a great story about life on a farm. The author portrays vivid authentic details about the ups and downs of farm life. The characters are well-developed and genuine. The patriarch in the family had very adept business skills, which most of the people around him were lacking. The author does a great job of developing him as a shrewd business man that always got what he wanted, even if it took time. The protagonist Kurt has a good soul and he has to develop a thick skin so as not to be affected by the way others view his family. Kurt is easy to like and has a strong work ethic for one so young. This was a really difficult time to be a gay young man. Kurt got to see and learn about others who didn't handle living with being gay so well. He knows he doesn't want to live his life as a lie, but initially, it was not safe for him to be open about it. This almost causes him to lose the man who is meant to be the love of his life. The twists and turns in this story make it incredibly interesting.